Congress declared March Women's History Month in 1987. The month is dedicated to celebrating women—both in history and today—who have made a difference through action. 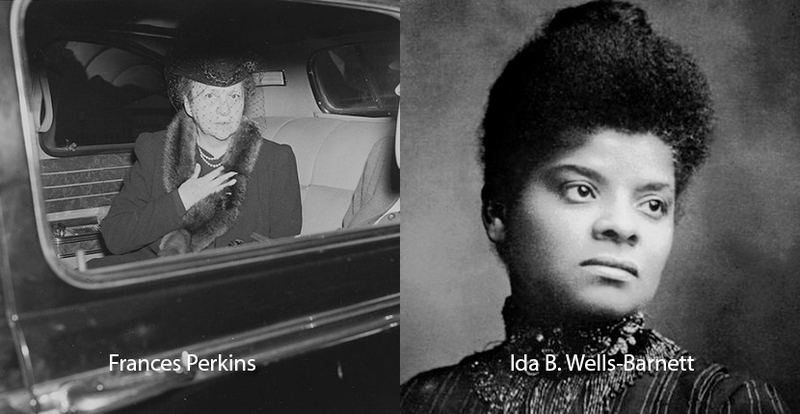 These women range from everyday heroes such as mothers and teachers to historical women such as Memphian Ida B. Wells-Barnett who worked to end segregation and racism and Frances Perkins who was the first woman to hold a position in the President's Cabinet. Before the celebration of women's history lasted an entire month, it was only a week. In 1980, President Jimmy Carter made an address designating March 2-8 of that year Women's History Week. In his speech, he said, "As Dr. Gerda Lerner has noted, 'Women's History is Women's Right.' – It is an essential and indispensable heritage from which we can draw pride, comfort, courage, and long-range vision." Want to learn more about amazing women in history? Follow us on social media to see other incredible women leaders featured every Friday. On the Right: Photograph of Ida B. Wells taken at the end of 19th Century.By Barnett [Public domain], via Wikimedia Commons. Celebrate Women's History Month 2019 With Us!